If Milestones had released Red Lights about five or six years ago, they’d be serious contenders for future biggest band in the UK. They’ve got the bright eyes, rambunctious energy and attempted transatlanticism of an early You Me At Six or Kids In Glass Houses that would see both of them ride to stardom, and for a collection of shiny pop-rock tracks, there’s a good amount here that could’ve pushed them into becoming a truly huge act. In the context of 2018, however, Red Lights is nowhere near as ready for primetime, burdened by the clichés that would be retroactively attributed to You Me At Six and the overwrought over-sincerity that’s always afflicted a band like Mayday Parade. Points are deserved for some addictive hooks that come at an admittedly high frequency, but for an album that’s as ultimately saccharine and shallow as this one is, it’s not nearly enough to make for a worthwhile listen. Even saying that, at least Britrock bands in the early 2010s had some vigour about them; Milestones feel sanitised to within an inch of their lives to the point where already glossy pop-rock feels rinsed out even further. The flat, bland guitar work is vastly inferior to anything with even the slightest semblance of colour, mainly used to pad out increasingly vapid pop-rock like Once Upon A Time or Eighteen, which lose any flavour after a single listen and end up as shockingly empty husks of songs that could be workable in some scenario. Give Bittersweetheart or Liar a bit more to work with instrumentally and they could potentially offer a lot more, especially given that Milestones do know their way around a hook in what singlehandedly lifts this album to mediocrity instead of outright awfulness. Unfortunately that something to work with just isn’t there, not in the instrumentation nor the production, which turns any slower or more contemplative moment into a syrupy mess that’s never worth revisiting. Just look at the hollow shells of songs that are Against The World and Hold On, or the vague balladry of Counting Cars that has the intentions of a grand, dramatic narrative that’s flagged as the real tearjerker of the album, but ends up tremendously overworked, both in a crisp piano line that feels far too tart, and in Matt Clarke’s vocals that try so hard to instill some real heart-rending emotion but ends up as a nasal, florid bleat that’s more reminiscent of Kellin Quinn at his most nasal and florid that anything with significant weight. And while it’d be nice to say that Milestones’ writing is able to redeem them somewhat, it’d also be totally untrue. This is honestly about as run-of-the-mill as it gets, transposing 2012’s most overdone themes of relationships and being a musician standing against the odds without as much as a new coat of paint. Tracks like Against The World and This Is My Life are roughly as thin and one-dimensional as self-esteem anthems get, while tracks like Paranoid and Hold On offer precious little in the way of substance or interesting content, a fact exacerbated across so much of this album by the basic-as-hell verbiage that makes these tracks feel like first drafts from half-a-decade ago. Throw in “na-na-na”s and “whoa-oh”s whenever there’s a bit of free space, and Red Lights feels even more like a relic from the Britrock renaissance that’s only been unearthed now, rather than a completely fresh album that’s just been released. And while Milestones would’ve undoubtedly thrived in that environment, in 2018 where the majority of that scene is gone and we all know better, Red Lights feels so out of touch with the current climate. It’s not heavy or raw enough for alt-rock, nor is it synthetic or pop-leaning for modern pop-rock; it’s just hovering in its own limbo where it can’t hit a workable point by any means, and reaches a stage where forty minutes of white noise would probably provide the same end result. There’s melody and well-crafted hooks here that may be something of a saving grace, but Red Lights has precious little beyond that, and ultimately refuses to stick by any means necessary. Don’t expect to remember this one long term; either it’s simply just uninteresting, or you’ve already heard close to this exact album before. 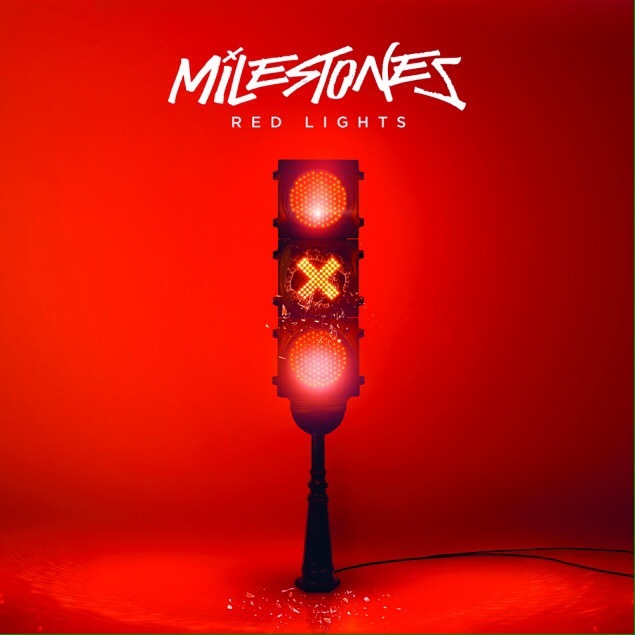 ‘Red Lights’ by Milestones is out now on Fearless Records.